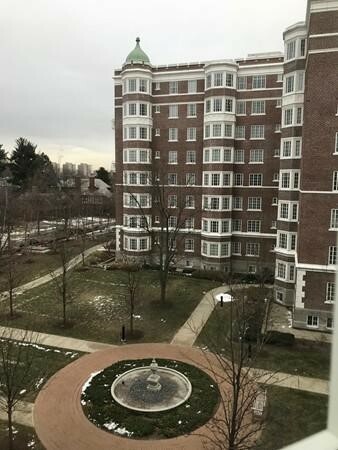 Harvard St. To Longwood Ave.. Left Onto Chapel St. -just Past Kent St.
Beautiful and spacious one bedroom rental at Longwood Towers. Open layout with large living room, dining area for comfortable living. Property features fitness center, clubhouse, 24 hour security, concierge services, laundry. Rent includes one valet garage parking space. Across from MBTA -Green line. Near Harvard Medical, Longwood Medical, Boston University and Coolidge Corner. Available now for 15 month lease.